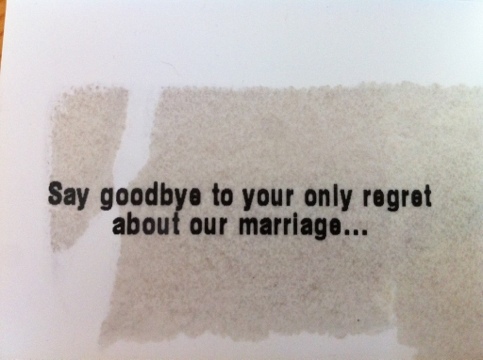 When Jason and I decided to get married, it wasn’t because we wanted to spend the rest of our lives together. We knew that without needing paperwork. Besides making some family members happier about our sin-livin’, I wanted to get married for one reason: a KitchenAid mixer. Once we sent out the announcements, we went to Target to make a gift registry*. 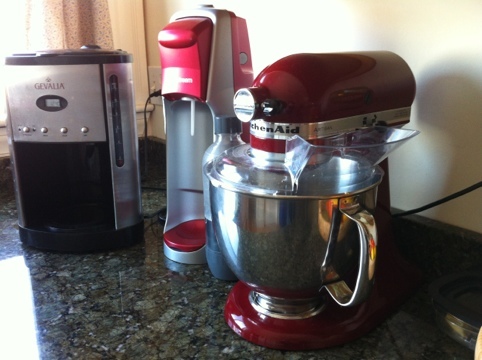 After choosing some modest additions to our existing belongings, we went to see the mixer. Here’s the plot twist: I got cold feet — about the mixer. It’s so expensive, and we didn’t *need* it. So I chickened out. * people will buy you gifts if you want them to or not, so a registry means no guessing on their part, or returning on yours. This entry was posted on Tuesday, March 20th, 2012 at 9:55 am and is filed under Random Sonya Fact. You can follow any responses to this entry through the RSS 2.0 feed. You can leave a response, or trackback from your own site. We got one for my birthday right after we were married. It’s still going strong seventeen years later. And now my daughter is learning to bake with it! Totally worth it! I”m still using my Grandmother’s. I have no idea when she got it.